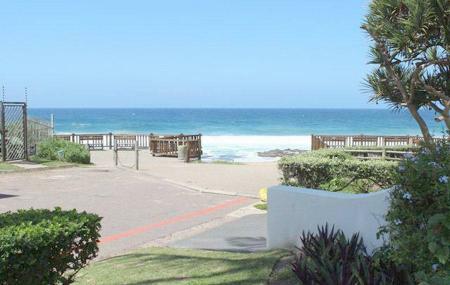 The Willard Beach is one of the best beaches in Ballito. This beach is vibrant and always abuzz with families, couples, little ones, and more. There is plenty to do and see here. A prime surfing beach, the Willard Beach also hosts the Ballito Pro; a leg of one of the world’s largest surfing competitions. The nearby skateboard park is also very popular. Also, near the beach is a promenade, where the joggers and dog walkers come during early morning. Nice beach which is good for swimming and body boarding at low tide but has a strong backwash the rest of the time. Ashgroves, which is located on the path down to the beach, has the best soft serves and is always a treat after a visit to the beach. Clear water. Beautiful view. Nature at its best. Willard beach has always been a pleasure and continues to be. Centrally located in Ballito, good amenities and a variety of entertainment during school holidays it is a sure bet for a fun filled school holiday. Feels like your own home. very satisfied thank you.